Many people have heard of and understand Search Engine Optimisation, or SEO, but when it comes to Social Media Optimisation, fewer recognize the term. 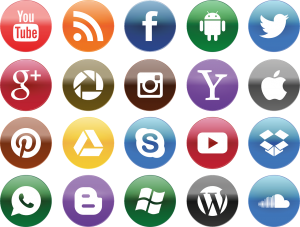 Social Media Optimisation, or SMO, is the generation of targeted search traffic through the use of bookmarking, social networking, and inbound link generation. Traffic alone does not ensure visitor conversion or increase revenue, but when used with social media it can inspire searchers to convert to long standing visitors and ultimately, to paying customers. One of the best ways to attract unique and interested visitors to your website content is by optimising your social media through RSS feeds, social news, buttons that encourage sharing, blogs, status updates, and user polls. Managing your social media presence requires a whole batch of new marketing techniques, such as participating in relevant conversations, creating valuable and useful content, and engaging directly with your community of users. The aim of social media optimisation is to drive the right visitors to your site and convert those users with your valuable content into customers, followers, or others who simply ‘talk’ about what you are doing to others, which in turn results in more traffic to your website. Making it easy for users to link to your ideas, your content, and your blogs furthers inbound traffic and ensures better search engine ranking. Why is it important to invest in SMO? 1. The most important marketing channel available to you today is having a real online presence. Your customers want to find you, and they will use search engines to research solutions. With a true online presence, you can ensure they find your services and products first. 2. You get the opportunity to better understand your target audience by participating in real and relevant conversations about your topics and products. 3. You get to communicate directly with your real community … a community that does not reward fakes, so it’s easy to see those stand out, which means as long as you are being real with your community, you can brand and sell just about anything you produce. 4. Decrease your PPC spending by tapping into the potential of online marketing while increasing the percentage of high-quality leads and organic traffic to your site. With careful optimisation, you can be sure that the clicks you pay for are useful customer leads. Less waste equals more revenue in your pockets. Increasing your linkability by making tagging and bookmarking easy and by rewarding inbound linkers. Using the networks you’ve targeted as useful, you’ll make it super-easy for your customers, fans, and users to quickly link to your content and make it available to others. Ensure the you are producing real, high-quality, useful content that speaks to your audience and engage that audience by asking them for their input and feedback. Participating in your user communities as a helpful resource, even if it doesn’t immediately help you, but to draw users into your community. By rewarding users who are particularly helpful or valuable to your social media efforts. SMO done right means that your company’s content can easily be found on the web and is distributed, talked about, and commented on by others who can spread your message. SMO can have a tremendous impact not only on how you market your business’ products and services and increase your company revenue, if it’s done right it will also engage your customer directly so that your products and services improve to meet their needs. It’s time to let the social media sites do a little work for you – and we can show you how. At Sigma Infotech, we understand that not every company needs to tweet, but every company does need a social media presence that is well thought out, engaging, and in the end powerful. Using the expertise of our highly skilled and experienced SMO experts, Sigma Infotech puts into practice proven SMO methods while taking into account the special nature of your business and the products and services you provide. 1. Scrupulous assessment of your business’ market and your competition to determine which social media to target. 2. Intense analysis of the factors needed to improve SMO. 3. Careful application of methodical Social Media Optimisation techniques to increase your exposure and create inbound traffic. 4. Smart planning of activities designed to steadily increase your social media presence. 5. Constant monitoring of the latest updates in Social Media Optimisation methodology in order to apply those changes to your company’s website development. Marketing your products and services on the Internet is no longer a luxury – it’s a requirement if new customers are going to find you. 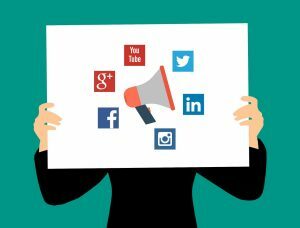 Optimising your social media presence so you can take advantage of the inbound marketing that is inherent in social media ensures that you give your customers the opportunity to increase your leads.